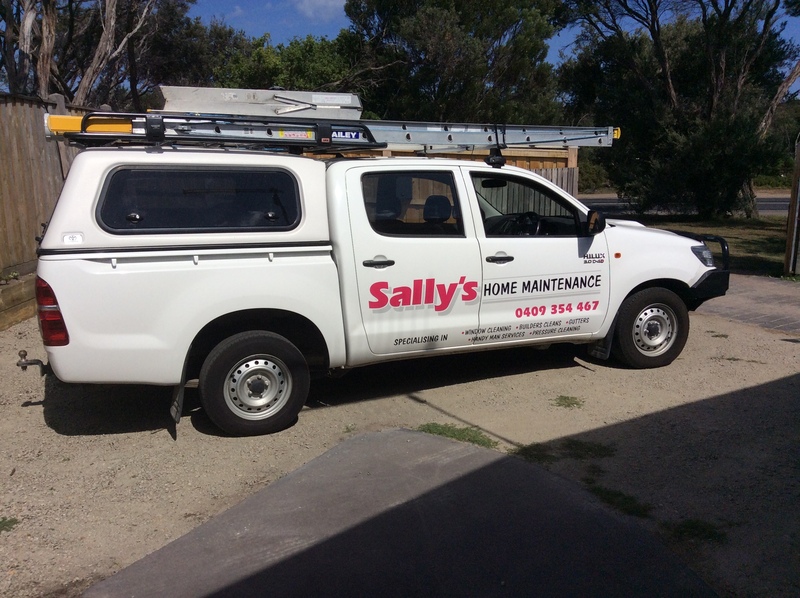 Sally’s Home Maintenance has all your window cleaning needs under control, we have a water fed window system which enables us to go as high as 3 stories. We also specialise in the cleaning of solar panels, and Alukabond finishes. High Pressure Cleaning – keep your decks, driveways and house looking brand new, with our pressure cleaning service. Gutter Cleaning – Our maintenance team are happy to get up high and clean your gutters and debris. We will clean out the leaves, hose out your gutters to ensure your downpipes are not blocked and ready for winter. Rubbish Removal – keep your property clean from excess rubbish. Old furniture, garden waste or just forgot to put your bins out, call us to help. We are also happy to put your bins out and bring them in. General Maintenance – Our very experienced maintenance team can help you maintain your house in and out. Change smoke detectors, light globes, small carpentry jobs, small painting jobs, or any general maintenance that your property requires. If we can’t help we will know someone that can. We have an excellent working relationship with a number of other local trades including carpet cleaning, furniture upholstery cleaning, pest control and chimney sweeps just to name a few. Let Sally’s take all the worry out of maintaining your property.